After the European Union urged the Chinese government and Hong Kong to begin electoral reforms, Chinese Foreign Ministry hit back on Thursday telling the EU to stop interfering. 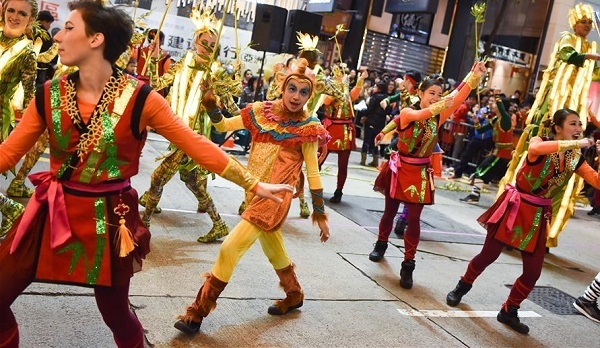 The European Commission and European External Action Service issued their 2016 reports on the Hong Kong Special Administrative Region (SAR) and the Macao SAR Wednesday. “The EU encourages the Hong Kong SAR and China’s central government to resume electoral reform in line with the Basic Law and to reach agreement on an election system that is democratic, fair, open and transparent,” the EU report said. China has always objected the EU annual reports on Hong Kong and Macao since their return to the “motherland”, Chinese Foreign Ministry spokesman Geng Shuang said at a daily press briefing. “We urge the EU to halt interference in Hong Kong and Macao affairs, and contribute more to the China-EU relations,” Geng said. He said that the SAR system has been effective under the Constitution and the basic law of the two SARs. China will stick to “one country, two systems,” “Hong Kong people governing Hong Kong,” “Macao people governing Macao,”and a high degree of autonomy, said Geng. The EU report termed 2016 as a “politically challenging” time for Hong Kong and questioned the efficacy of the “one country, two systems” principle. Thousands of protesters, mostly students, joined the Occupy Central movement in 2014 to express their discontent with an electoral reform package for choosing the region’s next leader. I suspect the “Occupy Central” was staged western propaganda, followed by media bs. Their deceptions always the same underlying patterns to them, hilarious and yet so pitiful. And their real goal for money, power and control always behind their obsessive meddling. Why? Because their nations are failing. I believe usury economy is the reason, its usury-based rigged casino banking system is doomed – the west is a sinking ship because of it.